In 1927, Ralph Peer of Victor traveled to Bristol to record some of the local mountain music on the advice of Ernest "Pop" Stoneman. During these sessions 76 songs from 19 artists were recorded, including The Carter Family, Jimmie Rodgers and the Stoneman Family. 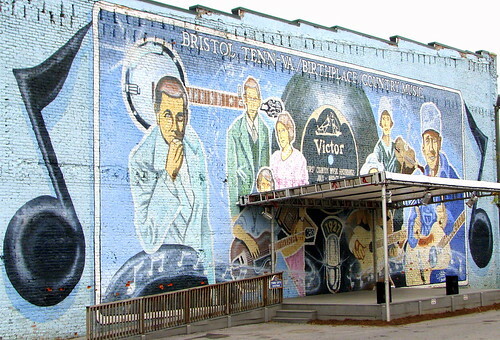 In 1998, the U.S. Congress recognized Bristol as the Birthplace of Country Music, Soon a birthplace of Country Music Museum will open in Bristol.